Jacqueline Marie Nichols, 88, of Charleston, W.V., formerly of Charlotte, passed away, March 6, 2018, surrounded by her family. She was preceded in death by her husband, Leo C. Nichols. She was employed by Owens-Illinois Glass Plant in Charleston and was transferred and retired from Owens-Illinois Glass Plant in Charlotte. She attended North Charleston Apostolic Church. Surviving is her son, Tom Cobb and wife, Peggy, of Anamosa, Iowa; daughter, Patti Ross and husband Jeffrey of Florence, Ky.; sisters, Eloise Gay Barker and Janice E. Kinder; and husband, Robert (with who she made her home) all of Charleston; grandchildren, Justin Ross and wife, Stacy, Lisa Ziehr and husband, Chris, Travis Ross and wife Samantha (Sam), Tammie Klaiber and husband Chris. Funeral service will be at 1 p.m., Saturday, March 10, at North Charleston Apostolic Church. Friends may call from noon until service time at the church. Cunningham-Parker-Johnson Funeral Home is in charge of arrangements. Graveside service and burial will be in Maple Hill Cemetery in Charlotte on Monday, March 12, 2018 at 1 p.m. Arrangements in Michigan provided by Pray Funeral Home. Donald Gary Ells, 81, of Charlotte, passed away at home on March 5, 2018, surrounded by his family. Don was born June 15, 1936, in Charlotte, one of five children born to William and Aletha (Root) Ells. He married Katherine Ditchfield on September 15, 1962 and they enjoyed 55 years of marriage. 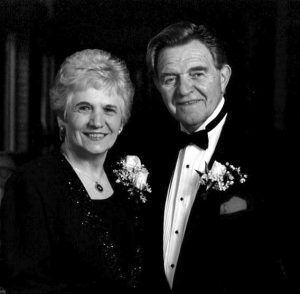 Don’s brothers, Mickey (Joyce) Ells and Bill (Sharon) Ells have gone before him to be with the Lord. Don will forever be remembered by his brother, Ted (Ann) Ells and loving sister, Marilyn (Carroll) Briggs; his beloved children, Donny Joe, Allen (Colleen) Ells, Linda (Scott) McDiarmid, Michael (Carmen) Ells, and Sandy (Robert) Wehr. Don will also be missed by all of his treasured grandchildren, Deanna, Tanya, Victoria, Mark (Stephanie) Wehr, Matt (Timara) Wehr, Nichoal (Trevor) Kirkendall, Sarah McDiarmid, Amanda Ells, Ashley (Shawn) Smith, and great-grandchildren, Sadie Kirkendall, Ericka Smith, and Conner Wehr, a great-granddaughter on the way, and countless other friends and family whom were blessed to know him. Don loved his farm. He was often seen riding his quad around the farm perimeter daily and enjoyed watching deer and turkey cross over the farm from one woods line to the other. He loved mushrooming, visiting with family and friends on the porch while watching the birds and traffic go by. He also enjoyed playing Michigan Rummy with his children and grandchildren, going to the casino, motorcycle, and hunting. Don never missed his grandchildren’s many sporting events. He was an active member of the Eagles Club in Charlotte and he will be missed by all his friends at the Club. He was also a member of the Moose Club and going to auctions. Don was known to find four-leaf clovers, even on a wagon loading hay. His bible holds hundreds of four-leaf clovers. Don worked 36 years at General Motors in machine repair and served 9 years in the Michigan Army National Guard Charlotte Charlie Battery 1st of the 119th FA. A celebration of life was held Thursday, March 8, 2018 at Pray Funeral Home, with Pastor Charles Jenson officiating. Don will be laid to rest in West Carmel Cemetery alongside Ells ancestors dating back to 1852. 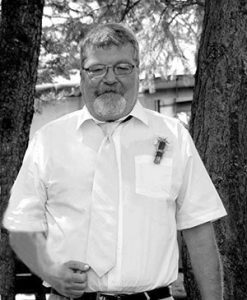 If desired, the family suggests memorial contributions to the Fraternal Order of the Eagles Arie #3552 in Charlotte. Friends and family are encouraged to share memories of Don on his tribute page at PrayFuneral.com. Samuel “Cyclops” Vosovic, 64, of Lowell, passed away Sunday, March 4, 2018. 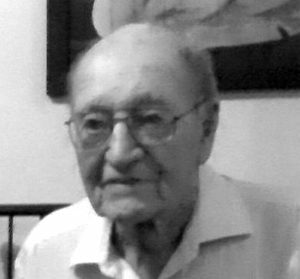 He is survived by his parents, Sava and Dolores Vosovic; brother, Michael (Mary) Vosovic; twin brother, Daniel (Sharon) Vosovic; step-daughters; grandchildren; and several beloved nieces and nephews, who also loved Sam dearly. In 1976, Sam lost his eye in a serious accident, in which he could have died. The 42 years since that accident have been a great gift to all those who knew him. Though he was bitter at first about the loss of his eye, he experienced a life-changing moment as he exited the hospital elevator one day on the wrong floor. He walked out into the children’s burn unit, and it forever changed him. Sam went out of his way to befriend those around him, overcoming judgment about his appearance. He was compassionate and would never hesitate to help those around him. Sam’s great love for his Harley Knucklehead was well-known. He was a great friend to many, and will be incredibly missed. 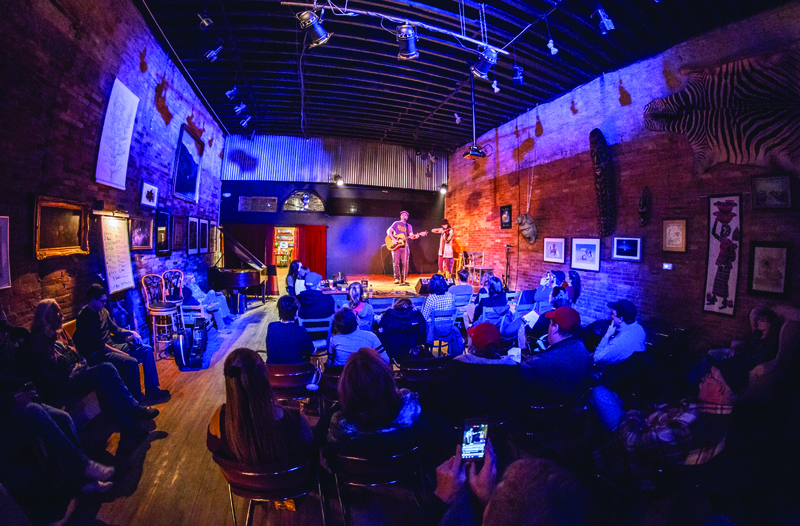 A memorial service will be held at a later date in the summer. Memorial contributions may be made to Metro Health Hospital Foundation, Cancer Center, 5900 Byron Center Ave. SW, Wyoming, MI 49519. 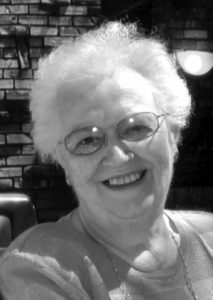 Beverly Ann Smith, 82, of Charlotte, died on March 5 of 2018. She was born July 20, 1935 in Harrison, Mich. to Paul and Laura Catron. She graduated from Charlotte High School class of 1953. Bev worked for Fowler’s Chevy-Olds for 26 years as office manager, and then stayed on with the family handling their affairs for an additional 10 years. Afterward she worked in the accounting office for the Charlotte Wal-Mart for 15 years. In between all of that she sold Avon products for 25 years. Bev belonged to the local chapter of American Business Women’s Association, and was the business woman of the year twice, and was awarded business woman of the decade once. Bev was a member of the Hayes-Green Beach auxiliary for 15 years, and volunteered in the gift shop at the hospital. She especially liked the used book sales. Bev leaves behind her daughter, Lynn Ann (Mark) Zimmerman; son, Ray Smith; three grandchildren, Andrew (Sarah) Zimmerman of Omaha, Neb., Melissa (Jonathan) Timm of Tecumseh, Mich., and William (Candice Lonzer) Zimmerman of Adrian; and three great-grandchildren. Bev also leaves two surviving sisters, Ann (Robert) O’Brien, and Mary Krotcsky; as well as two step-sisters, Beva Lee Smith of Grand Ledge, and Jean Berryhill of Charlotte; two special cousins, Judy Hamp of Lansing, and Sylvia Speer of Traverse City. Bev is preceded in death by her sister, Ruth (Dean) Carey. Special thanks to friends and neighbors, Vanda Warren, and Bob and Pam Curtis. A big thank you to special friends, Pat Misler and family, and Betty Rosenbrook and family. Donations may be made directly to the family. Larry Herbert Bates, a loving father, grandfather, husband, son and brother, 60, of Lansing, died on Sunday, March 4, 2018. He was born on February 22, 1958 to Roy “Jerry” and Dorothy (Roper) Bates in Lansing. Larry graduated from Lansing Eastern High School in 1976. Larry worked at Motor Wheel and later as a truck driver for Coolidge Glass before his retirement in 1997. Larry was a family man. He adored spending time with his family, especially his grandchildren. He was the grandpa that was known for spending quality time with his grandchildren, whether it was getting down to their level to play with their toys or simply passing his knowledge onto them. Larry was an avid archery and gun hunter, as well as a woodworker. He loved building things with his hands. Camping was also a passion for Larry. A memory that his family will always cherish is camping in the infield at MIS during a NASCAR race. His favorite driver was Dale Earnhardt Sr. Larry is known for his keen sense of direction while traveling. Above all, Larry will be remembered as being a doer who was always willing to help out, and for his love for his family. Larry is survived by his children, Tim Bates, Christina Gentilozzi, Victoria (Anthony) Singleterry, Ricky (Fiancé Skylar Hunt) Bates, Chase Bates, Paris Bates, Dimere Bates and Heavenly Bates; wife, Corrina “Cory” Bates; grandchildren, Trenton Bates, Sedric Bates, Jeremiah Maurer, Logan Maurer, Paige Allen, Emmalee Bates, Gabriella Gentilozzi, Oliver Singleterry, Alyssa Singleterry and Esmeralda Singleterry; mother, Dorothy; sister, Robin (Ken) Hill; sister in-law and brother in-law, Wanda and Jeff Bancroft, and many nieces and nephews. A celebration of Larry’s life will be held Sunday, March 18 at 2 p.m. at the Eaton Area Senior Center in Charlotte, with Pastor Mike Arnold officiating. If desired, the family suggests memorial contributions to Windsor Township Fire and Ambulance Services. Friends and family are encouraged to share memories of Larry on his tribute page at PrayFuneral.com. Merle L. Willis, 94, passed away on Monday, March 5, 2018. He was born March 24, 1923 in Bellevue to Guy and Mary Pearl (Cosgrove) Willis. Merle graduated from Bellevue High School in 1940 and worked as a machinist for the Grand Trunk Railroad before enlisting in the U.S. Navy in 1943, serving in WW II and the Korean conflict. He married Arlene (Hendershot) April 16, 1948. Over the years they lived in Battle Creek and Charlotte, retiring to the cottage he built on Marble Lake in Quincy. 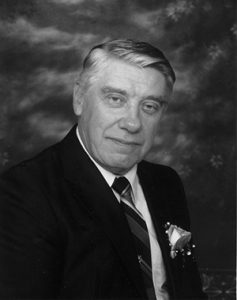 He and his wife enjoyed traveling and spent winters in Florida for over 20 years. Merle was a loving husband, father, poppa, uncle, and friend to many. He was a skilled tool and die maker and a handyman, always tinkering with some project in his garage. He was a member of the VFW and the First Congregational Church in Charlotte. Merle is survived by his beloved wife of almost 70 years, Arlene; daughters, Joyce (Stan) Otto of Otsego, and Jan (John) Simonsen of Knoxville, Tenn.; grandchildren, Melissa McPherson of Hawkinsville, Ga., Matthew (Elizabeth) McPherson of Otsego, Christine (Darin) DeCator of Nunica, Mich., and Paula (Greg) Falcon of Bryan, Texas; 7 great-grandchildren; brother-in-law, Leo G. Thrall of Hale, Mich.; and several nieces and nephews. He is preceded in death by his parents and his sister Meda Ellen Thrall. 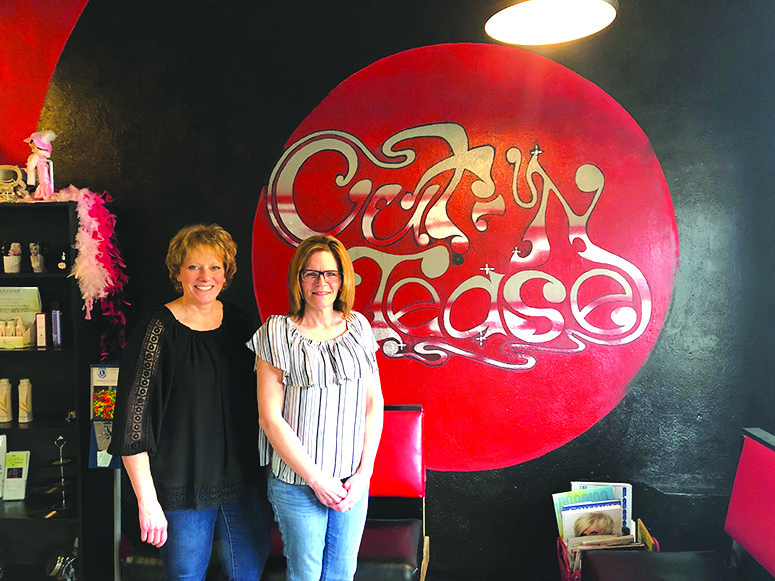 Special thanks are extended to his loving caregiver Amanda Johnson-Hegel, the nurses at Oaklawn Wound Clinic in Marshall, and the doctors and staff at Borgess Medical Center in Kalamazoo. Memorial contributions may be made to the Guide Dog Foundation for the Blind, 371 E. Jericho Turnpike, Smithtown, NY 11787 or Hospital Hospitality House, 1800 Henson, Kalamazoo, MI 49048. A celebration of life will be held at later date. 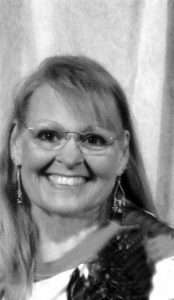 Lori Ann Like, a compassionate, hard-working wife, mother, grandmother and animal lover, died after a brief illness on February 26, 2018 in Battle Creek. Lori, 46, of Charlotte, was born March 6, 1971 in Charlotte, the daughter of Robert E “Buzz” and Diane Louise (Welch) Myers. She graduated from Potterville High School in 1989 before starting her family. 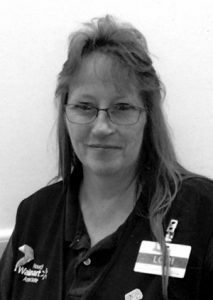 Lori worked for Wildern’s Drug Store, Carl’s Supermarket, and most recently at Wal-Mart, where she greeted everyone with a smile. Lori is survived by her husband of 12 years, Paul Allen Like; son, Brandon (Lora) Myers; daughter, Crystal Piper; grandchildren, Kelsey Myers and Karley Myers; step-children, Angela Ann Like, Paul Braford Like, and Julie Marie Braford Like; brothers, Mike Myers and Kevin Myers; and several nieces and nephews. She is predeceased by her parents, Buzz and Diane Myers. Funeral services were held Monday, March 5, 2018 at Pray Funeral Home in Charlotte, with Pastor Tom Evans officiating. Memorial contributions may be made to the family in the care of Pray Funeral Home. Friends and family are encouraged to share memories of Lori on her tribute page at PrayFuneral.com. Elizabeth Iola Herban, a loving wife, mother, grandmother and sibling, who dedicated her life to helping others, of Charlotte, died Saturday, March 3, 2018 in Ann Arbor. Elizabeth was born April 22, 1956 in Mason to Phillip and Iola (Baker) Hayhoe. She was a 1974 graduate of Everett High School. During high school Elizabeth met her sweetheart Gregory Herban. On April 27, 1974, Elizabeth and Greg got married and together created their legacy. With Gregory being in the military, the couple lived on numerous military bases around the world. Elizabeth worked on the civilian side of the base as a restaurant manager. She was the first to welcome the soldiers home from Desert Storm at the restaurant. This reflected Elizabeth’s heart of gold and willingness to help anyone in need. Once Elizabeth moved back to Michigan she worked as a CNA at local nursing homes. Crafting was a hobby for Elizabeth as well as cooking, an interest she passed down to her children. Above all Elizabeth cherished being a mother and grandmother. Elizabeth is survived by husband, Gregory; children, Greg (Teraesa) Herban, Dale (Brandy) Herban, Andrew (Kelli) Herban; eight grandchildren; siblings, Eugene (Debbie) Hayhoe, Joann (Ed) Greismer, and Bonnie (Roy) Melton. She is predeceased by her daughter, Samantha; and her parents. If desired, the family suggests memorial contributions to The Battle Creek VA Medical Center or The Wounded Warrior Project. Friends and family are encouraged to share memories of Elizabeth on her Tribute Page at PrayFuneral.com. Patricia A. Brown, of Marshall, died Friday, February 9, 2018. Patricia was born January 1, 1935 in Charlotte to Frank and Mildred (Wonser) David. She was an Olivet High School graduate. Patricia was known for her love for clowning, whether it was teaching clowning to others or traveling to different facilities as a clown, she loved to be able to brighten people’s day. She also was a Dachshund breeder. Patricia had a big heart for animals. Patricia is survived by grandchildren, Pete (Charity) Brown, Joe (Tracy) Brown, Jessica Brown, Laura (Josh) Brown, Ben Brown, and Chrisie (Brent) Brown; 13 great-grandchildren; siblings, Bruce (Bonnie) David, and Joan David-Mason. She was predeceased by sons, Steve Brown, Stan Brown and Donn Brown; grandson, Chad Brown; and her parents. A visitation was held on Thursday, February 15 at Pray Funeral Home in Charlotte. Friends and family are encouraged to share memories of Patricia on her tribute page at PrayFuneral.com. 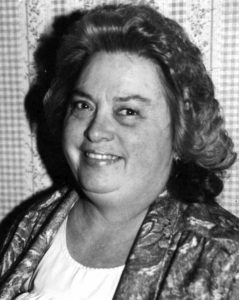 Marlene Louise (Johnson) Colizzi, 85, passed away, surrounded by her children, on February 23, 2018 in Charleston, S.C. She was born August 12,1932 in Lake Odessa to Ernest and Zora (Ward) Johnson. She attended Charlotte schools, graduating high school in 1950. She married Sam Colizzi on June 12, 1965 at St. Mary’s Catholic Church in Charlotte. Until 1977, she and Sam resided in Charlotte with their three children, Tony, Greg and Kristina. The family relocated to Brighton; Charleston, W.V. ; Richmond, Va.; and Charleston, S.C. In her early years, Marlene worked for Eaton Federal Savings Bank in Charlotte, was a troop leader for Brownies and Cub Scouts, and was the PTA President in Brighton at Hawkins Elementary. She held officer positions with Stonehenge Garden Club in Richmond and New Virginians, was an active member of the Italian American Club of Richmond, Va., and joined her husband Sam in many other clubs and activities. She enjoyed travelling, family history, and took great pride in her children, grandchildren, decorating her beautiful homes, cooking and hosting many parties. Marlene kept a home so welcoming that neighborhood kids and friends didn’t hesitate to walk right in to enjoy time with her and Sam. Her words were always filled with kindness, goodness and grace, and those who knew Marlene formed an instant and lifelong bond with her. Her radiant and beautiful eyes, smile and laughter, kind soul and generous ways always touched the hearts of others. She was considerate, hard-working, committed and dedicated to all aspects of her life, and especially cherished her grandchildren and spending time with them. Marlene is survived by her sons, Tony Colizzi of Daniel Island, S.C.; Greg (Jeannine) Colizzi of Manakin Sabot, Va.; and daughter, Kristina (Robert) Windom of Daniel Island, S.C.; grandsons, John Colizzi, Joseph Colizzi, Max Windom, and granddaughter, Morgan Windom. She is also survived by her sister-in-law, Marguerite (Gordon) Johnson of Charlotte; nieces, Diane (Jerry) Baum and Toni (Steve) Wildern; brothers-in-law, and sisters-in law, Don and Elaine Colizzi of Charlotte; John and Joy Colizzi of Northville, Mich.; Dan (Anne) Stango of Fort Wayne, Ind. ; nieces Nikki (Jack) Lennemann of East Lansing; Monique Colizzi of Charlotte; Neysa Colizzi of Northville, Mich.; and Angel (Richard) McCrumb of Eaton Rapids; nephew, Leonardo Stango of Fort Wayne, Ind. ; as well as many other family members. Marlene was predeceased in death by her parents; husband, Sam Colizzi in 2016; three sisters; and three brothers. A funeral service will be held in Charlotte this summer at St. Mary’s Catholic Church, with interment at Maple Hill Cemetery – details forthcoming.